Beautiful naturally transparent with light orange to dark orange-red coloring Tangerine quartz crystal points from Brazil. 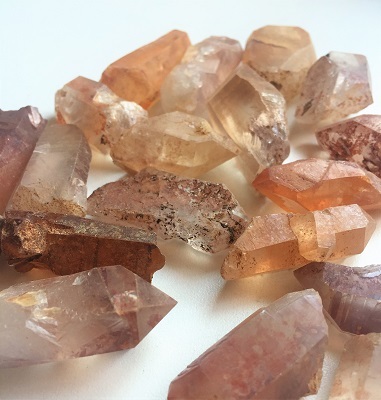 Tangerine Quartz activates and harmonizes the sacral chakra stimulating the flow of creative energy, sexuality, inspiration and playfulness. Tangerine Quartz may take you beyond your limited belief system. 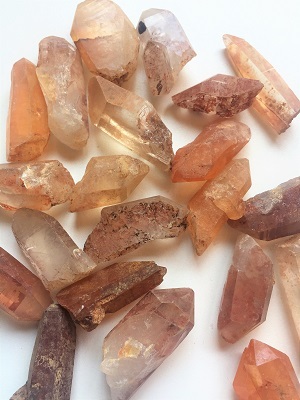 Tangerine Quartz blends creative and sexual energies which stimulates spiritual growth. 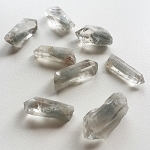 Tangerine Quartz is a wonderful crystal tool to use after a shock or trauma. Tangerine Quartz may be used for soul retrieval and integration and to heal after psychic attack. 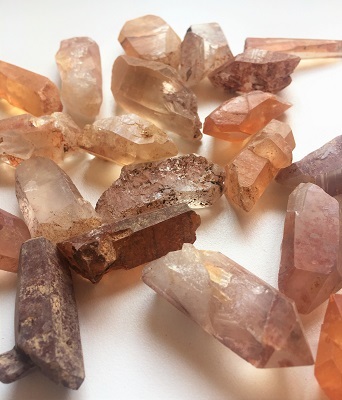 Tangerine Quartz may be used in past-life healing and is beneficial where the soul feels it has made a mistake for which it must pay and facilitates gratitude through creative opportunities and learning experiences. 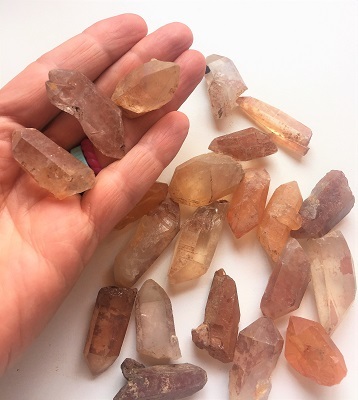 Tangerine Quartz facilitates the “Law of Attraction.” Meditation with Tangerine Quartz may facilitate new ideas and an inspirational zest for a fulfilled playful, creative, passionate life.